Celtic Footstep work with local experts all over Ireland to enhance your groups visit to Ireland. Our Local experts give visitors an authentic and memorable experience during their vacation in Ireland. Celtic Footstep handpicks scholars who are experts in their field from History, Heritage, Archaeology, Culture, Music & Dance, the Irish Language, Irish Folklore, Food, Horticulture & Gardening and more. Read about some of our local expects below. Pádraigín Clancy is a graduate of Irish Folklore and History from the National University of Ireland, Dublin. 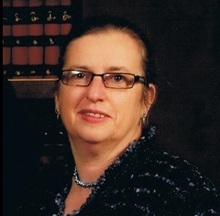 She has a keen interest in Celtic Christian Spirituality and has lectured and facilitated retreats throughout Ireland, Britain USA and Australia. She is qualified in Spiritual Direction and holds a HDip in Theological Studies. Drawn to the Aran Islands because of its unique landscape and Gaelic heritage, she has made it her home since 1990. Pádraigín contributes frequently to Irish national radio and television. She is editor and co-author of ' Celtic Threads: Exploring the Wisdom of our Heritage'( Dublin 1999) and among other essays she has contributed the Irish Spirituality entry to ' A New Cambridge Dictionary of Christian Spirituality' Philip Sheldrake. Pádraigín was a speaker at the Eucharistic Congress in Dublin, Ireland in 2012. She enjoys playing the Tin Whistle and Irish dancing. 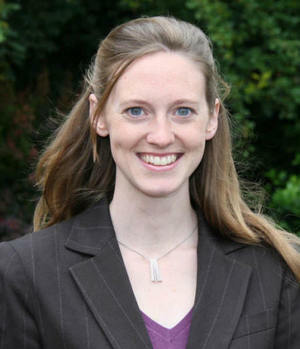 Grace Clunie is an Anglican priest, having served 17 years in parish ministry within the Church of Ireland, she is now Director of The Centre for Celtic Spirituality, Armagh, Northern Ireland. Armagh is known as 'the Ecclesiastical capital of Ireland' – an ancient place with both pre-Christian Celtic and Celtic Christian history. The Centre for Celtic Spirituality is an interchurches ministry involving Presbyterians, Anglicans, Catholics, Methodists, and Quakers all working together. Grace is the author of "Sacred Living: Practical Inspirations from Celtic Spirituality for the Contemporary Spiritual Journey", published by Columba Press, Dublin in 2011. Grace says - "I love welcoming people to the ancient city of Armagh and having the privilege of accompanying them as they experience for themselves the joy, wisdom and inspiration of this ancient spiritual path we call Celtic Spirituality. Isabel Bennett is an Archaeologist and Curator of Museum Chorca Dhuibhne in County Kerry. She has lived on the Dingle Peninsula for 30 years. Isobel is the editor of the Annual Excavation Bulletin and Editor of the Kerry Archaeological and Historical Society. She is a graduate of University College Dublin, having obtained a master’s with a thesis about the Early Christian Settlement of County Wexford. She came to West Kerry to work on the Archaeological Survey of the Dingle Peninsula 30 years ago and have been living here ever since. She has worked on several excavations around the country and has been a consultant archaeologist for several years. Rev. Kiran Young Wimberly is an ordained Presbyterian Church (USA) minister and the Pilgrimage Director with the Centre for Celtic Spirituality in Armagh, Northern Ireland, linking international pilgrims with Celtic Christian heritage and reconciliation work through pilgrimages, retreats, sabbaticals, and study tours. She accompanies groups on their journeys as a practical and spiritual guide, offering insight from the Celtic Christian tradition, pastoral support, daily worship, and theological reflection to help pilgrims get the most out of their experience and apply learnings to their daily lives. Sr. Mary Minehan is one of the Brigidine Sisters living at Solas Bhride, a Christian Centre for Celtic Spirituality in Kildare. Her life is dedicated to the work of Cairde Bhríde, the Catholic Order of St. Brigid that embraces both the Christian Saint and Goddess aspect of Brigid. She joined the convent and dedicated to God and Brigid at the Novitiate in Tullow. From there she became a teacher and worked in various Brigidine schools around the country before ending up in Kildare in 1992. She chose Kildare upon being asked to come there to explore her Celtic Heritage and to reclaim Brigid of Kildare for the new millennium. Sister Mary was first exposed to Brigid at an early age through her grandmother who used to make Brigid’s crosses with rushes. She remembers her mother’s leg ulcer being cured by Brigid and came to know her as Brigid the Healer and Brigid the Protector. 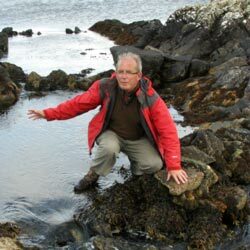 Michael Gibbons, a native of Connemara is one of Ireland's leading field archaeologists, a writer, broadcaster, and mountaineer. Michael is a former director of local and national archaeological survey programmes. Other work has involved research on the pilgrimage tradition in Ireland. He spent three seasons as a field director excavating the summit of Croagh Patrick and climbing 2,510 feet to work every morning.